In the second module we looked briefly at the concepts of sovereignty, intergovernmentalism and supranationalism with regard to the EU treaties and decision-making procedures. We will now look again at these issues from a more theoretical and conceptual standpoint. The supranationalism-intergovernmentalism debate is at the heart of much theory about the EU and a solid knowledge of the supranational and intergovernmental aspects of the EU polity in their theoretical context will help you significantly. 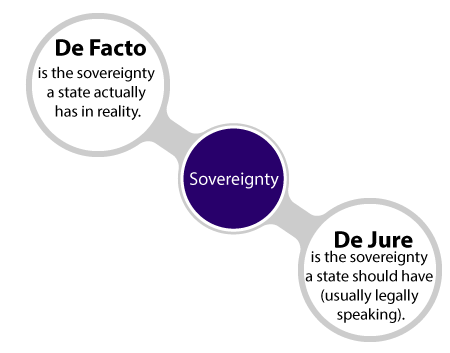 The concepts of de jure and de facto sovereignty are particularly important for understanding European integration. 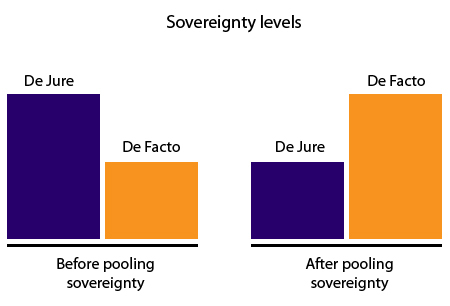 Indeed, one of the major questions raised in regard to sovereignty in the EU is whether external pressures (globalisation, terrorism, climate change etc) constrain de facto state sovereignty so much that despite losing some of their de jure sovereignty, states actually get a net de facto sovereignty gain by cooperating together and pooling sovereignty as they are more able to deal with global problems. Read the following extract Sovereignty-intergovernmentalism-and-supranationalism.pdf.